I’ve always favored a dedicated home theater PC (HTPC) in my living room instead of relying on a smart TV or stream box. I enjoy the functionality and flexibility of a Windows PC over restrictive and sometimes clunky streaming hardware. It’s nice to seamlessly switch between streaming Netflix, consulting episode guides on Wikipedia, and watching clips on YouTube. A PC also gives you access to a large catalog of streams beyond the normal services and it simplifies the experience. You can navigate between many different networks and content providers within one browser, forget about switching between slow dedicated apps. HTPCs used to be simple and inexpensive. A low end processor with a little bit of RAM was all you needed. All of the difficult work that is normally handled by the processor, such as video decompression, is instead handled by a dedicated graphics chip on the motherboard or integrated into the processor. 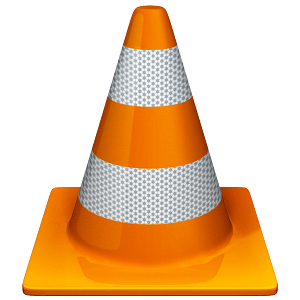 This is termed “hardware acceleration.” Media players such as VLC and Flash based media streams all knew to task the graphics chip with the video decompression. Then YouTube ruined everything. Early in 2015 YouTube switched to an HTML5 video player. While this seems like good progress the HTML5 player has one large flaw, it does not support hardware decompression. The player relies on the processor to all video decoding and is very taxing for any processor. People immediately found their YouTube videos stuttering and skipping, myself included. Playing any 1080p video would choke my CPU. It’s extremely frustrating to have a home theater PC that cannot play a lowly HTML5 YouTube video. At the time of writing my old HTPC was 5 years old. I decided to update and put together a new low cost HTPC that could tackle anything. Case – Silverstone HTPC Case – One of the most important parts of the build. You want something small and attractive but also low-key. The case should have some flexibility and be easy to work on. This case meets all criteria. Processor – AMD A10-7850K – Quad core processor to tackle any and all decoding and decompression. I thought it was overkill when I started and used a dual core processor instead – that was a mistake. I switched to the A10 here and haven’t looked back. YouTube 1080p 60 fps streams are smooth and clean. Cooler – Artic Alpine 64 – Normally I’m happy with stock CPU coolers but in this case the AMD supplied fan has a bit of a whine and a distracting tendency to change speeds. This cooler is inexpensive and silent. Motherboard – MSI FM2+ Micro ATX – Solid Micro ATX board with support for the processor. Great BIOS for easy setup. Memory – Crucial 4GB DDR3 – Single stick of 4 GB. This should be sufficient but there’s room for expansion in the future. Hard Drive – Kingston 120GB SSD – Quiet, snappy, and inexpensive. Perfect for the OS but think about a larger 3.5″ disk if you plan on “downloading” a few TV series. BluRay Drive – LG BD-ROM Drive – Optional but nice if you still have some physical media in your catalog. Power Supply – Corsair CX 430W – Good budget power supply with modular cables to reduce clutter inside the case. OS – Windows 7 SP1 x64 – The old standby here, I prefer it over Windows 8, plus there’s talk of a free upgrade to Windows 10. All in, you’re looking at about $530 for a complete build. I was able to save a lot of money since I was upgrading my old HTPC. I spent about $220 just upgrading the guts of the system with the new motherboard, processor, and RAM. Mission accomplished and I should have a rock solid HTPC for the next few years.